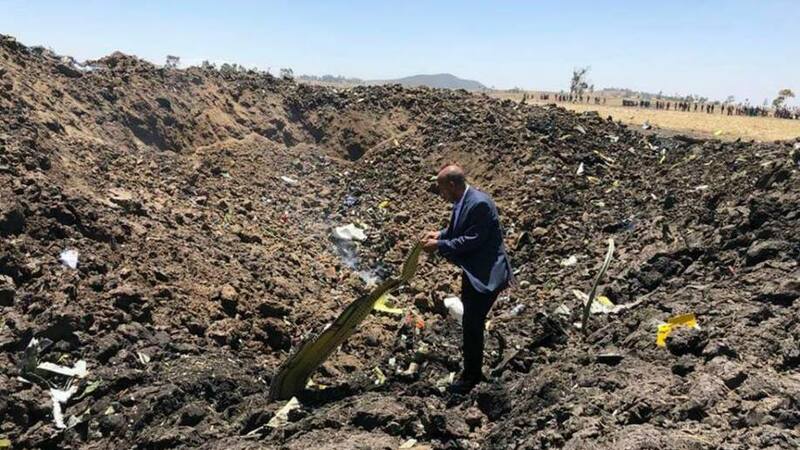 People from 35 different nationalities were among the 149 passengers and seven crew killed when an Ethiopian Airlines flight crashed shortly after take-off from Ethiopia’s capital on Sunday morning. 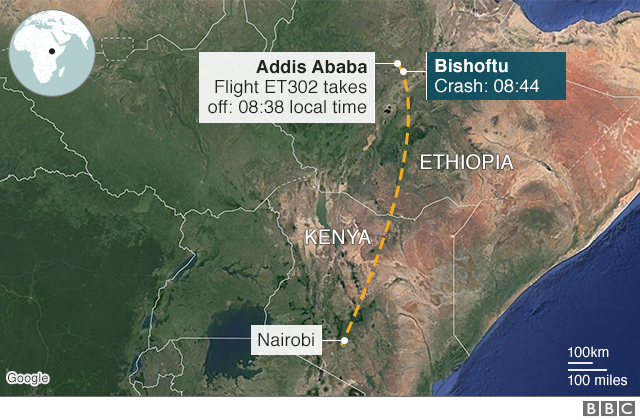 The plane crashed six minutes after departing Addis Ababa on its way to Kenya’s capital, Nairobi. Kenya’s transport secretary James Macharia told reporters there were nationals from at least 35 different countries on board. Ethiopian Airlines confirmed this later at a press conference. 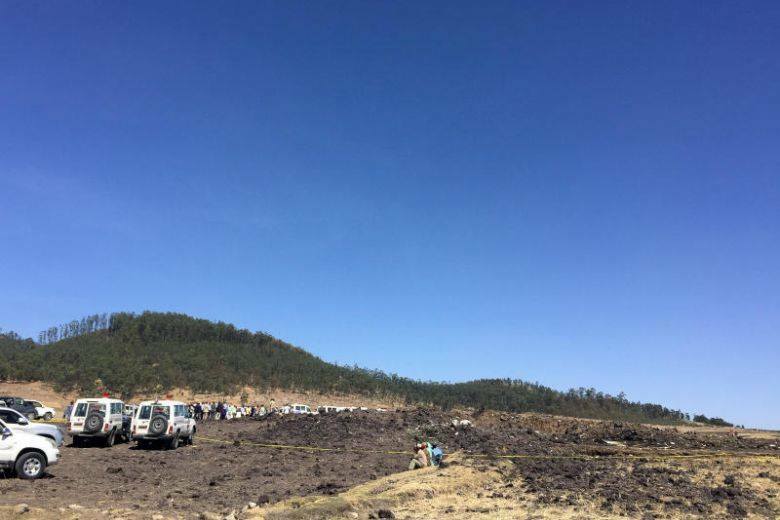 The plane took off at 8:38am (0638 GMT) from Bole International Airport and “lost contact” six minutes later near Bishoftu, a town some 60 kilometres southeast of Addis Ababa. The plane came down near the village of Tulu Fara. 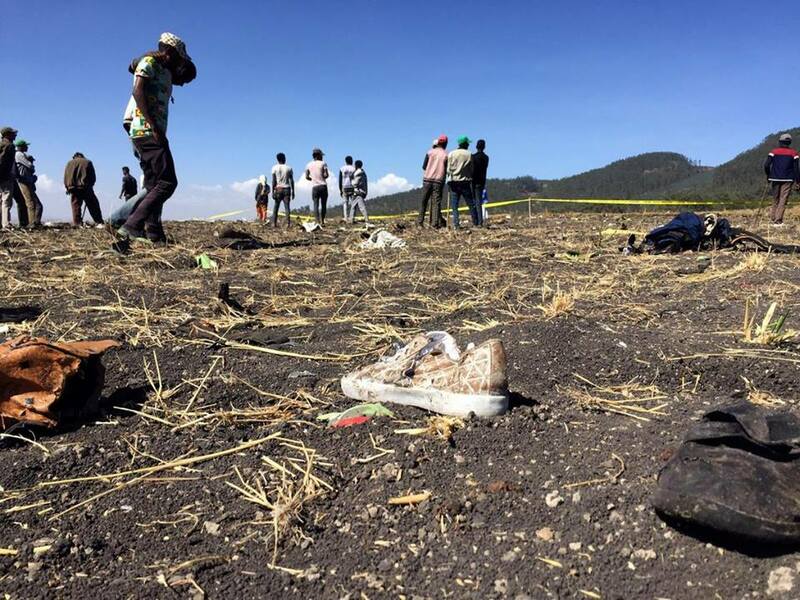 The AFP reported that there was a massive crater at the crash site, with belongings and airplane parts scattered widely. Police and troops are on the scene, as well as a crash investigation team from Ethiopia’s civil aviation agency. The airline said it was setting up a passenger information centre and a dedicated telephone number for family and friends of people who may have been on board the flight. According to the airlaine 32 Kenyan, 18 Canadian, eight American, seven British, nine Ethiopian, eight Chinese, eight Italian, seven French, six Egyptian, five Dutch, four Indian, three Russian, one Norwegian , two Israeli, one Belgian, one Ugandan, one Yemeni, one Sudanese, one Togolese, one Mozambican and two Moroccan nationals were among the passengers on board the aircraft. Four of the passengers travelled with UN passports. The cause of the disaster is not yet known. However, the pilot had reported difficulties and had asked to return to Addis Ababa, the airline said. 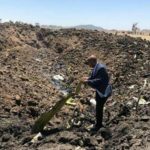 “At this stage, we cannot rule out anything,” Ethiopian Airlines CEO Tewolde Gebremariam said.